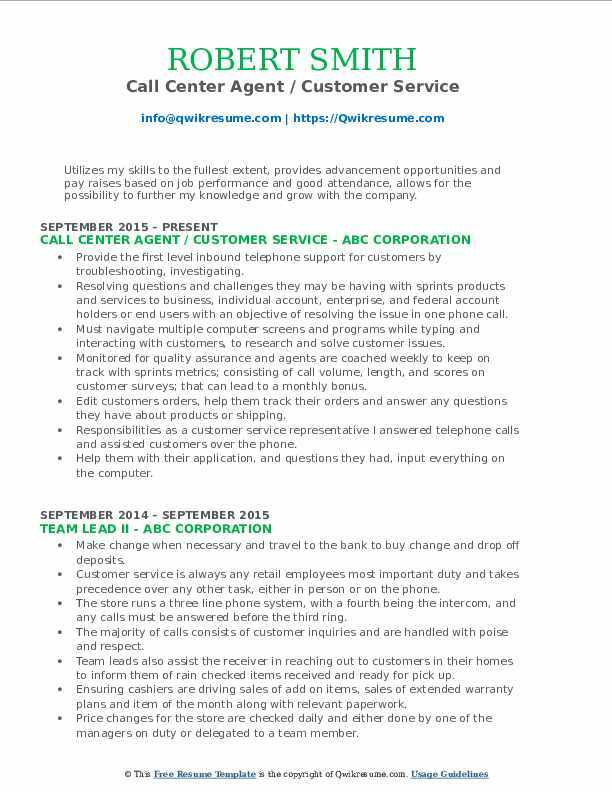 Call Center Agents work in call centers to deal with customers through telephone, IM, e-mail or internet. Call center agents contribute to the company by executing the following roles and responsibilities – providing excellent customer satisfaction, delivering instant and efficient service to callers, handling all incoming calls and referring to the problems instantly by referring to the records on computer screen, identifying previous issues and giving appropriate answers, and making outbound calls to enhance sales volume. Objective : Over 5 year experience supervising and dedicated management professional with extensive hands-on experience in: Strategic Management and Planning Resources Allocation Problem solver Managing trusting relationships Leadership Techniques Strong work ethics. Providing outstanding member service, support and maintaining strong professional relationships with members via telephone. Respond to member telephone calls and assists with information requests. Responsible for receiving, originating, processing and closing applications for consumer, and all loans. Accurately completes related records, reports, and documentation in a timely manner. Perform comprehensive account and service functions in an accurate and timely manner. Skills used excellent verbal and written communication skills, professional appearance and attitude. Ability to operate related computer applications and other business equipment. 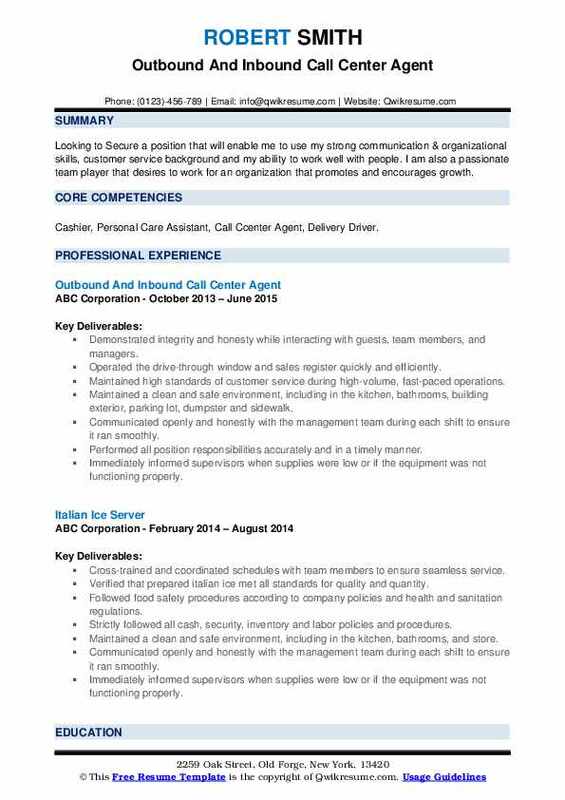 Objective : Looking to Secure a position that will enable me to use my strong communication & organizational skills, customer service background and my ability to work well with people. I am also a passionate team player that desires to work for an organization that promotes and encourages growth. 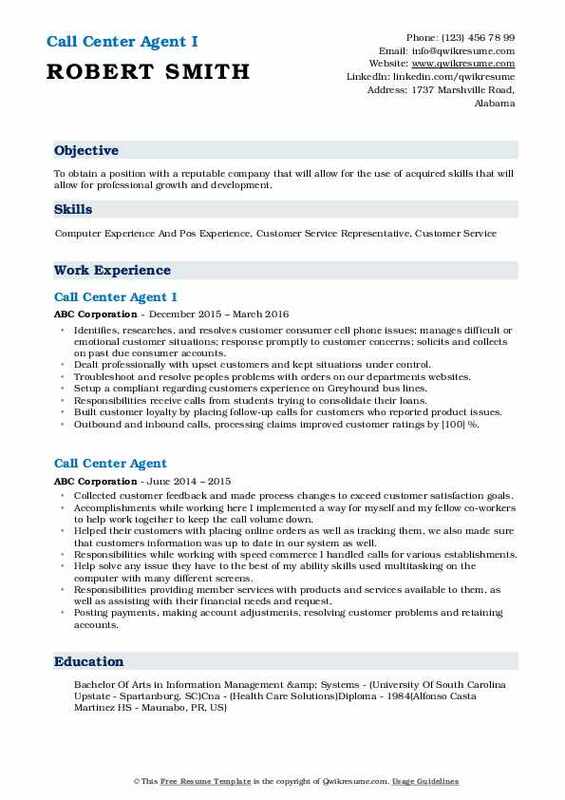 Skills : Cashier, Personal Care Assistant, Call Ccenter Agent, Delivery Driver. Maintained a clean and safe environment, including in the kitchen, bathrooms, building exterior, parking lot, dumpster and sidewalk. Communicated openly and honestly with the management team during each shift to ensure it ran smoothly. Immediately informed supervisors when supplies were low or if the equipment was not functioning properly. Summary : Monitored multiple databases to keep track of all company inventory, successfully led key projects which resulted in increase of sales. Planned and executed display and paper projects. Managed teams of 2-7 professionals and created plans which motivated staff and resulted in a 7% increase in sales and defined strategy and business plan for Sales Floor. Responsibilities inbound calls, complete orders, send out catalogs upon customer request. Developed effective problem-solving skills; resulting in increased customer satisfaction. Specialized in comprehensive outsources calling, web-based solutions for a hospital, hospital networks, medical practices, and managed care. Perform as a call center agent for is working a queue consisting of accounts specifically assigned to an agent maintain average set outbound calls per day handle incoming calls as directed resolving final affairs and financial matters, field questions and concerns per account. Responsibilities answered inbound calls to schedule or update appointments. Offered compensation or travel vouchers for the customer's bad experience. Customer service inbound golf reservation agent taking over 130 successful calls daily. Headline : Energetic employee with strong time management skills and who thrives in a fast paced, dynamic environment. 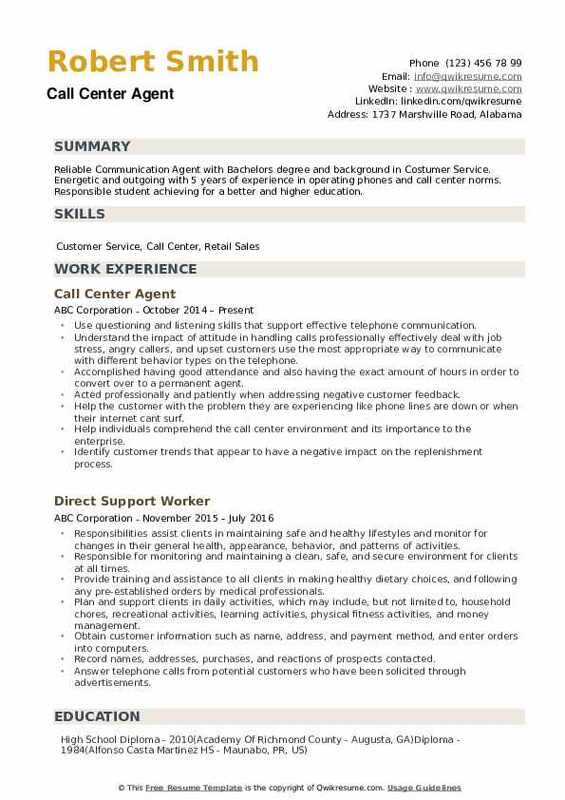 Trained in customer service, good at communicating, and is knowledgeable with computers. Well rounded, eager to learn, and able to learn quickly. Responsibilities made outbound calls to the company's prospective customer list, provided them with the orthopedic supports that they need. Receive information from the patient such as a doctor, insurance, and sizes. With this information, it is up to me to make sure the sale is of quality and HIPAA standard and can be made. Receive inbound calls and answer questions from customers satisfactorily. Perform certain data entry level tasks for systemizing the employee information system, as well as meet a quota of 5 sales a day. Accomplishments I became better with people skills, as well as how to navigate through different software on the computer. Skills used leadership, excellent customer service skills, patience, communication, ability to think quickly, and skills of persuasion. 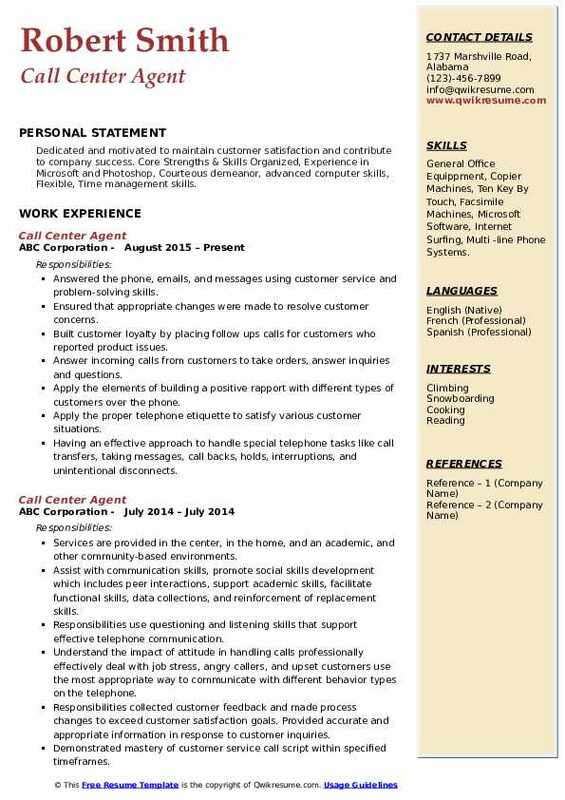 Objective : To obtain a position with a reputable company that will allow for the use of acquired skills that will allow for professional growth and development. Identifies, researches, and resolves customer consumer cell phone issues; manages difficult or emotional customer situations; response promptly to customer concerns; solicits and collects on past due consumer accounts. Dealt professionally with upset customers and kept situations under control. Troubleshoot and resolve people's problems with orders on our department's websites. Setup a compliant regarding customers experience on Greyhound bus lines. Responsibilities receive calls from students trying to consolidate their loans. Outbound and inbound calls, processing claims improved customer ratings by  %. Headline : Utilizes my skills to the fullest extent, provides advancement opportunities and pay raises based on job performance and good attendance, allows for the possibility to further my knowledge and grow with the company. Provide the first level inbound telephone support for customers by troubleshooting, investigating. Resolving questions and challenges they may be having with sprint's products and services to business, individual account, enterprise, and federal account holders or end users with an objective of resolving the issue in one phone call. Must navigate multiple computer screens and programs while typing and interacting with customers, to research and solve customer issues. Monitored for quality assurance and agents are coached weekly to keep on track with sprint's metrics; consisting of call volume, length, and scores on customer surveys; that can lead to a monthly bonus. Edit customers orders, help them track their orders and answer any questions they have about products or shipping. 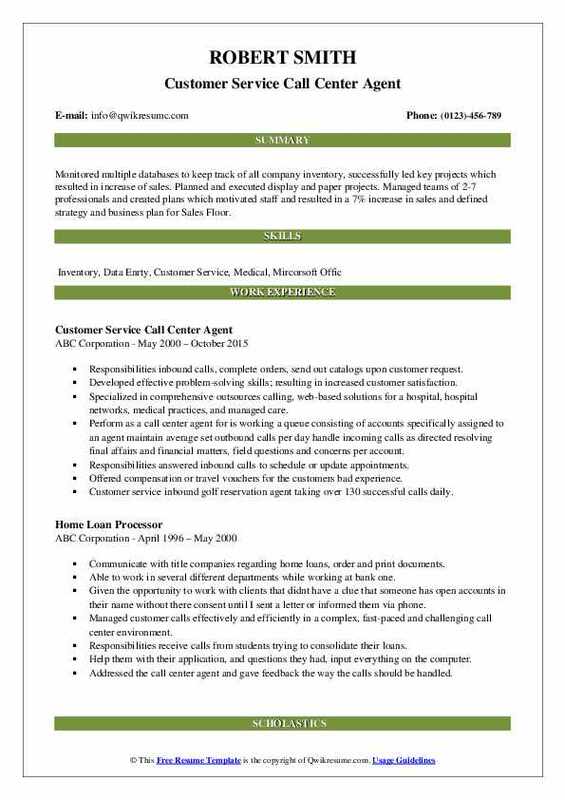 Responsibilities as a customer service representative I answered telephone calls and assisted customers over the phone. Help them with their application, and questions they had, input everything on the computer. Headline : Professional, versatile, results oriented leader that possess a very high proficiency with problem-solving coupled with proven decision making abilities. Proven experience to make sound decisions in adjusting operations to meet demanding schedules or customer driven changes. A highly diversified individual seeking a challenging position with a growing company that can provide competitive wages, health benefits and opportunities for promotions. Addressed the call center agent and gave feedback the way the calls should be handled. Helped their customers with placing online orders as well as tracking them, we also made sure that customers information was up to date in our system as well. Handled inbound, and outbound calls with a variety of requirements and compliance needs. Provide service to customer requests within the departmental guidelines. Headline : Dedicated and motivated to maintain customer satisfaction and contribute to company success. 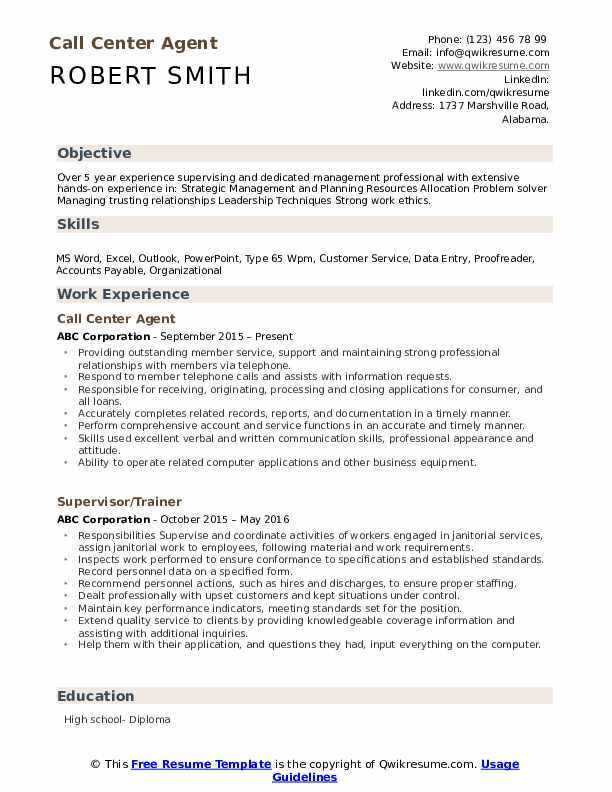 Core Strengths & Skills Organized, Experience in Microsoft and Photoshop, Courteous demeanor, advanced computer skills, Flexible, Time management skills. Skills : General Office Equippment, Copier Machines, Ten Key By Touch, Facsimile Machines, Microsoft Software, Internet Surfing, Multi -line Phone Systems. Answered the phone, emails, and messages using customer service and problem-solving skills. Ensured that appropriate changes were made to resolve customer concerns. Built customer loyalty by placing follow ups calls for customers who reported product issues. Answer incoming calls from customers to take orders, answer inquiries and questions. Apply the elements of building a positive rapport with different types of customers over the phone. Having an effective approach to handle special telephone tasks like call transfers, taking messages, call backs, holds, interruptions, and unintentional disconnects. 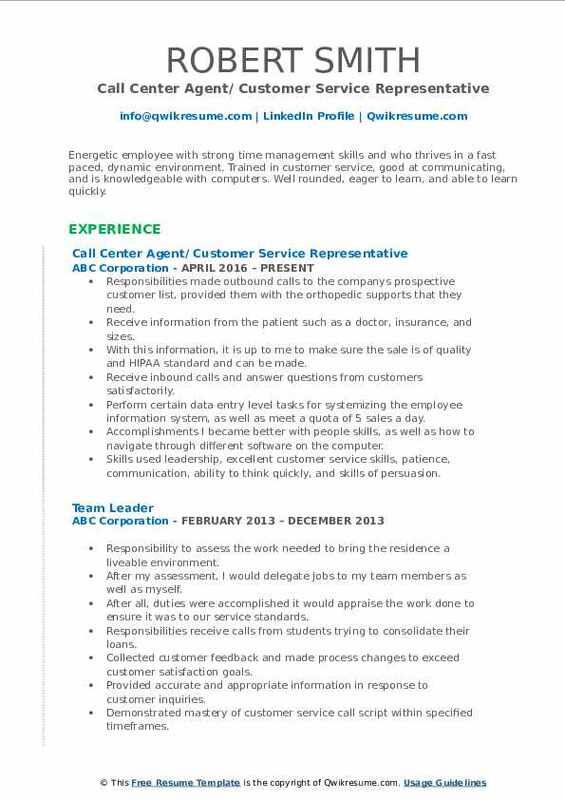 Headline : Reliable Communication Agent with Bachelors degree and background in Costumer Service. 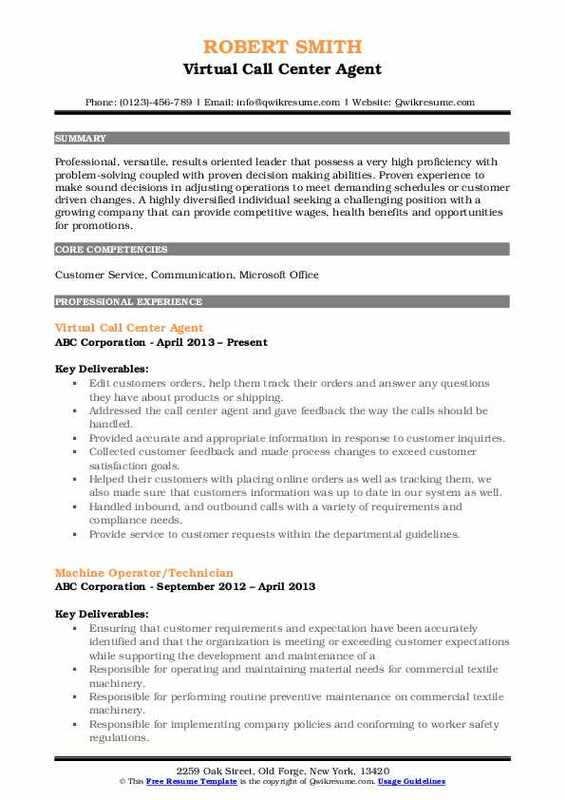 Energetic and outgoing with 5 years of experience in operating phones and call center norms. Responsible student achieving for a better and higher education. Understand the impact of attitude in handling calls professionally effectively deal with job stress, angry callers, and upset customers use the most appropriate way to communicate with different behavior types on the telephone. Accomplished having good attendance and also having the exact amount of hours in order to convert over to a permanent agent. Help the customer with the problem they are experiencing like phone lines are down or when their internet can't surf. Help individuals comprehend the call center environment and its importance to the enterprise. Identify customer trends that appear to have a negative impact on the replenishment process.